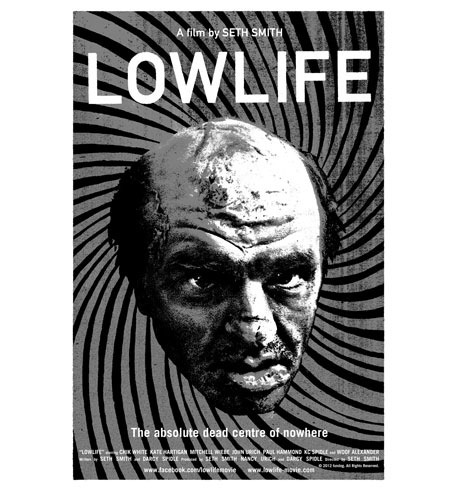 Dog Day's Seth Smith recently rolled out his surreal horror film Lowlife, which has been screened at festivals since its Montreal premiere back in the summer. This fall, audiences across Canada will have a chance to see the film when it comes to various cities around the country on the weekend of November 16 to 18. So far, the film has been confirmed for 20 cities from coast to coast. There are even a couple of shows in Canada's northern territories. The exact date and location for each screening has yet to be confirmed and more cities will be announced. So far, the planned cities are: Halifax, NS; Sydney, NS; Liverpool, NS; Fredericton, NB; Charlottetown, PE; St. John's, NL; Montreal, QC; Ottawa, ON; Toronto, ON; Kingston, ON; Sarnia, ON; Hamilton, ON; Winnipeg, MB; Saskatoon, SK; Calgary, AB; Edmonton, AB; Vancouver, BC; Nanaimo, BC; Dawson City, YT; and Yellowknife, NT. Lowlife was directed and co-written by Smith. Dog Day co-produced it, along with Halifax's Divorce Records, Fun Dog Records and Yorodeo. Watch a trailer below, and stay tuned to the film's Facebook page for screening times.